Cuireann an leabhrán seo achoimre chuimsitheach ar fáil ar an obair óige Ghaeilge agus ar fhorbairt na hearnála óige Gaeilge le blianta beaga anuas. Aibhsíonn an leabhrán seo an tábhacht a bhaineann le soláthar seirbhísí óige trí mheán na Gaeilge de thairbhe an éilimh a cruthaíodh le fás earnáil na Gaelscolaíochta agus pobal na Gaeilge i rith ama. Is léiriú é an leabhrán seo ar ghnéithí teanga na hoibre óige Gaeilge a chuireann le heispéireas foghlamtha na ndaoine óga atá páirteach ann, agus an buntáiste a bhaineann leis seo do phobal na Gaeilge go forleathan. 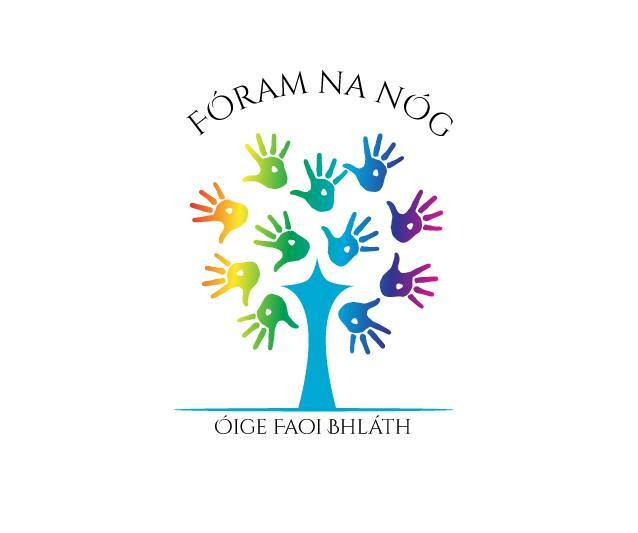 Beidh an seoladh ar siúl ag 10:30am ar Déardaoin, 13ú Samhain 2014 sa Dánlann Fhada, Foirgnimh na bParlaiminte, Cnoc an Anfa. Labhróidh an tAire Oideachais John O’Dowd ag an seoladh, agus seolfar suíomh na heagraíochta go hoifigiúil, chomh maith le físeán nua a thugann léargas ar cad é mar a théann soláthar seirbhísí óige trí mheán na Gaeilge i bhfeidhm ar phobail áitiúla. The booklet provides a comprehensive overview of Irish-medium youth work and the development of the Irish-medium youth sector in recent years. It highlights the importance of the delivery of youth services through the medium of Irish to meet the growing demand generated by the ever growing Irish-medium education sector and Irish language community. 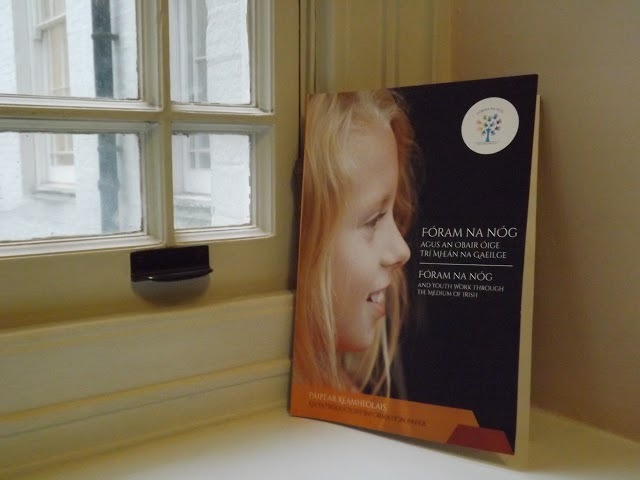 The booklet shows how the linguistic element of Irish-medium youth work further enhances the learning experience for the young people involved, and also how this benefits the wider Irish language community. The launch will take place at 10:30am on Thursday, 13th November 2014 in the Long Gallery, Parliament Buildings, Stormont. The Minister of Education John O’Dowd will be speaking at the launch, which will also include the official launch of the organisations new website and a new video which provides an insight into the impact that the delivery of Irish-medium youth services has in local communities.